Hey, it’s Friday! I always get excited for Fridays. It’s one of the best days of the week after all! Did you have a good week? Mine was just okay, but I am very proud of one thing I accomplished. After pinning countless macaron recipes, I finally broke down and made a batch. They definitely didn’t turn out perfect, but considering it was my first time, I’m pretty darn happy with the result. They had feet and everything! 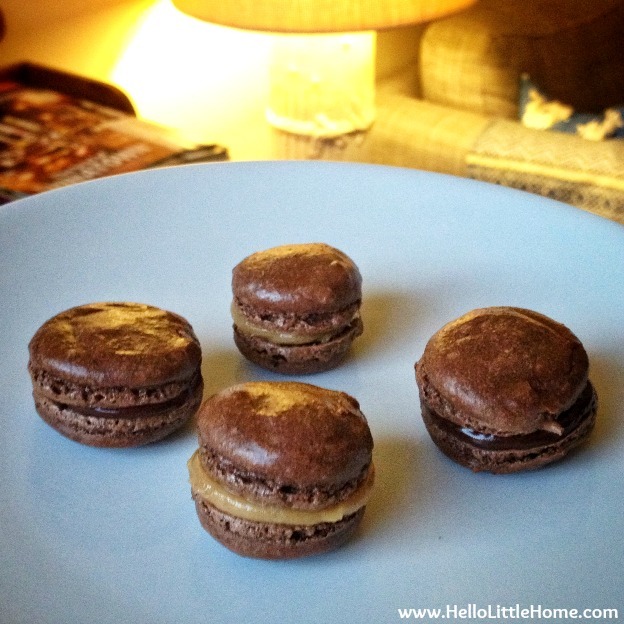 I used Martha’s French Macaron recipe, and I won’t lie, they were somewhat labor intensive (not too bad though). Next time, I plan to double the recipe and make them a little larger. Mine were positively petite! Aren’t they cute? I filled half with peanut butter frosting and half with chocolate ganache. If you are on Instagram (follow me here), you probably take a ton of photos. Check out this great roundup of 25 ways you can bring your Instagrams to life. 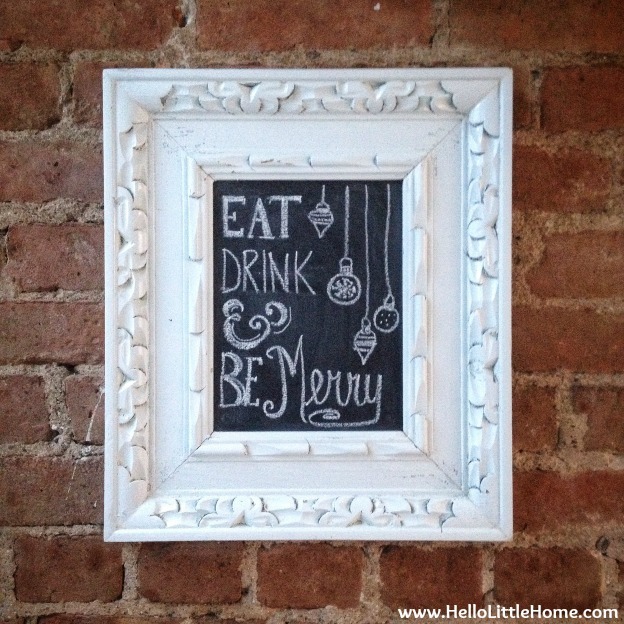 I updated my DIY chalkboard with a holiday message (my only decorating so far). I tried a few new recipes this week: Butternut Squash Mac and Cheese (so good), Spicy Asian Spaghetti Squash (totally delish, but I’d add more spinach), and a somewhat-edited version of South Indian Spicy Lentil Stew (amazing). Consider them all tried and true! Have you seen When Harry Met Sally in real life? I laughed – a lot. Marionberry Style is one of my favorite fashion blogs. I especially love her great sense of humor (her “moments of the week” are hilarious). 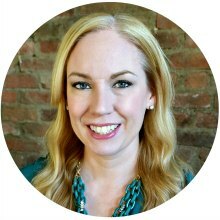 Yesterday, she shared 5 fall/winter accessories you didn’t know you needed. I will take one of each, please! 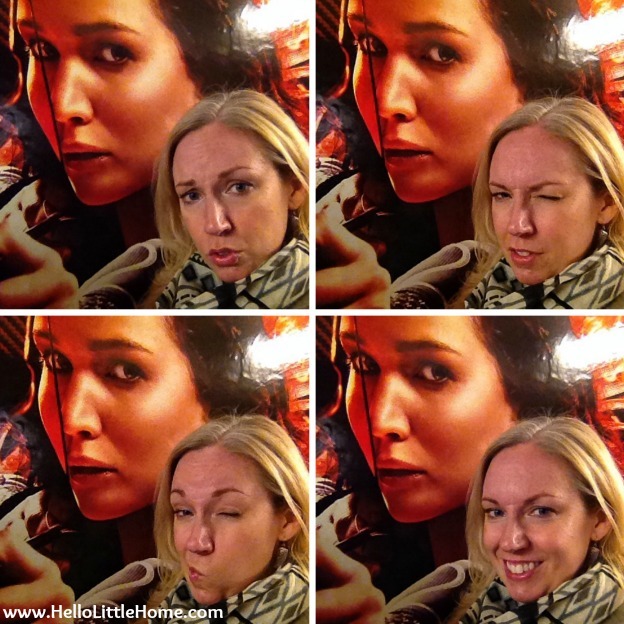 Oh dear … killing time in the subway by trying to make my best Katniss face! If you are a fan of Friends, see if you can guess famous Friends’ lines from just a freeze frame. I did embarrassingly well, although I did use the hints. Do you need a warming drink? Here’s a roundup of 16 sinful hot chocolate recipes. This is such a clever idea: DIY monogrammed ornament gift tag. 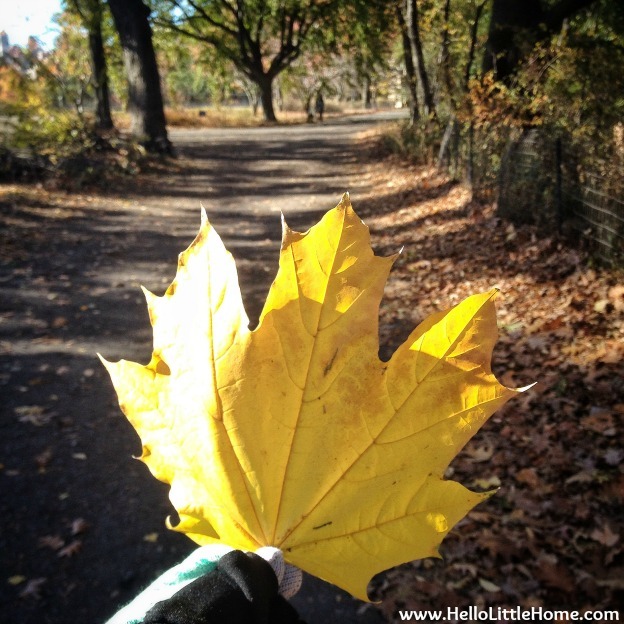 How gorgeous is this giant yellow leaf I found in Central Park? Make this stove simmer from A Beautiful Mess, and your home will smell wonderful all season long. Thanksgiving is just around the corner. This turkey burner workout will help you torch the calories after the big meal. If you are looking for lunch ideas, make an Avocado Tartine with Gribiche Egg Salad. Doesn’t that sound fancy? 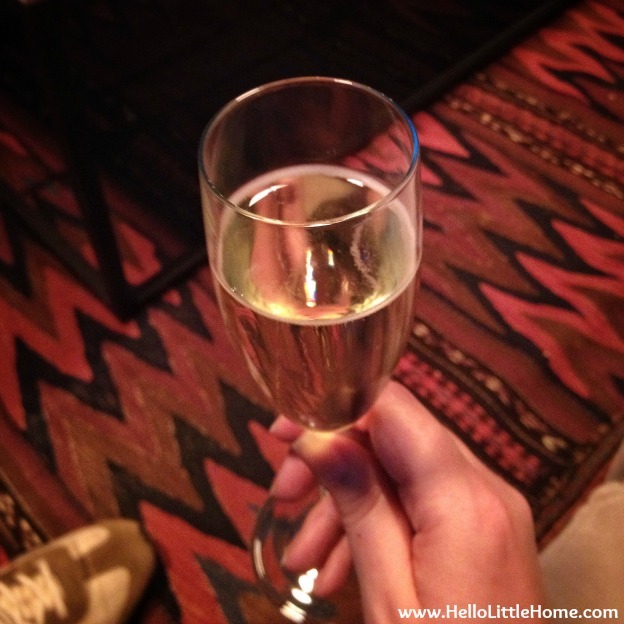 We went to the BEST event last weekend with free-flowing champagne and delicous non-stop appetizers. I think this is why people move to New York! Check out that amazing rug. These printable chalkboard gift tags for any occasion are so cool. Get your pretty on with one of these 25 holiday party makeup tutorials. Turn an over-the-door shoe rack into a wrapping paper holder. How clever is that? It’s getting cold! 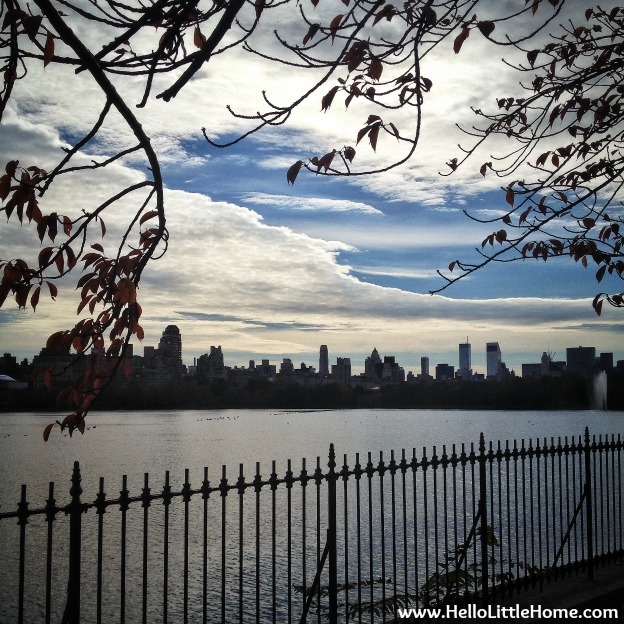 On my morning walk, I nearly had the the Central Park Reservoir path to myself. My next birthday is still quite a way off, however I’m fantasizing about throwing an awesome Frida Kahlo-inspired party. Since I’m dreaming, I’ll make this two-tier Red Velvet Cake with White Chocolate Cream Cheese Frosting while I’m at it. Go big or go home: turn your work bun into a giant party bun. These Mini Cookie Snowglobes are so incredibly cute and would be such a fun project for kids! 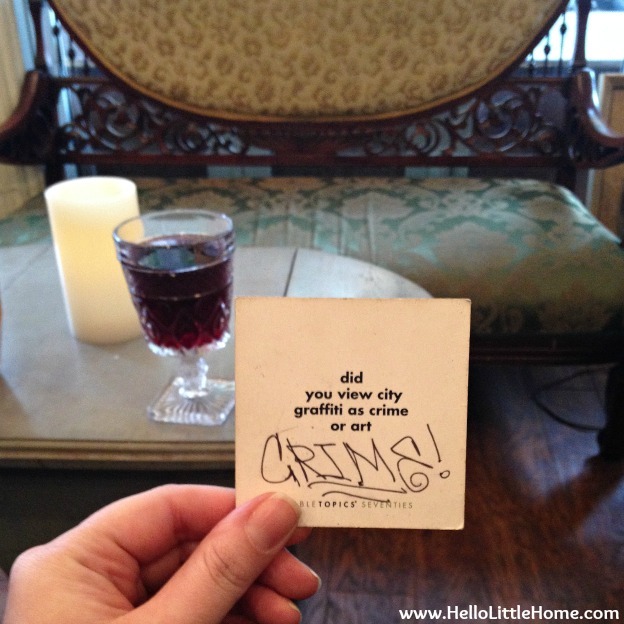 Some people take graffiti very seriously! It’s 5 o’clock somewhere. I’ll have a Pomegranate and Rosemary White Sangria. Cheers! Nice job on the macarons. Very impressive. I need to put that on my list of must try recipes. The look so cute! Those macarons are so cute! Peanut butter and chocolate, say no more. Yum!